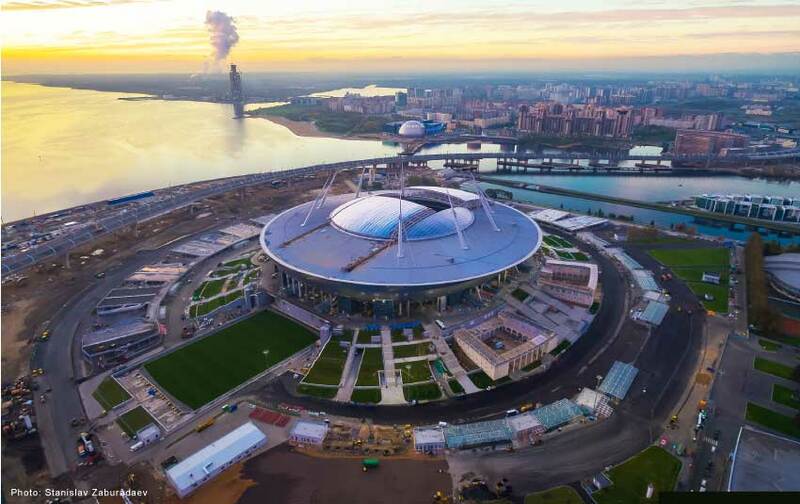 7 games,including the semifinal and the third place playoff game of the 2018 FIFA World Cup Russia will be held from 14th June 2018 at St.Petersburg Stadium, which is designed by KISHO KUROKAWA. In the international design competition of the stadium in 2006, because the site was located at the tip of the cape in the estuary of Neva River facing the sea, under the Kurokawa's basic concept of design that "beautiful architecture suited to the beautiful streets of St.Petersburg" , the scenery from the sea was emphasized, and designed the appearance of a white sail boat as a design motif. The masts of the stadium show a "hommage" for the history of St.Petersburg, where was once colored by lots of sailing ships crossing the oceans of the world and it was called the port of Neva. Also, since there was a highway plan, now completed, above the sea at the time, it was designed to be conscious of how to see from the sea. On the site there was an existing stadium built 19th century and the symmetrical buildings, a part of it, were remained as gates for the new stadium. 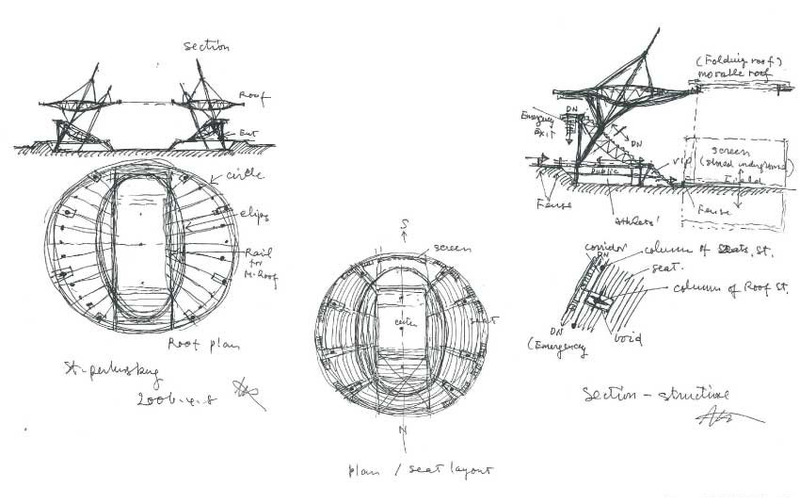 And in the initial design, the stadium equipped a movable membrane structure roof and a movable steps using the Japanese most advanced technology. 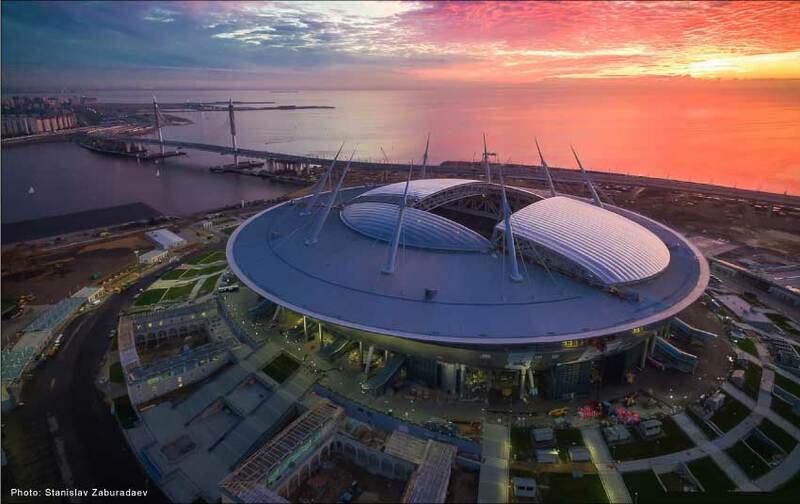 In this way, the St. Petersburg Stadium aims for "the symbiosis of the history of St. Petersburg and the future", and it has realized Kurokawa's concept of "Symbiosis". Please take a look at Kurokawa's last work completed after 12 years from competition.